Your search for the best EDS (Explosive Detection System) Machine ends here. With the belt running at 0.5 meters per second and “Dynamic Window” providing minimal gaps between bags or parcels, RTT®110 provides Industry-leading throughput, routinely exceeding 1,800 bags or 2,500 parcels per hour. More bags or parcels for fewer machines. In addition to RTT®110s’ very low false alarm at level 1, its outstanding 3D high resolution image allows alarms to be resolved quickly and accurately. It is one of the lowest level 2 reject rates in the industry while screening at the highest throughput. Quick and accurate alarm resolution offering highest operator confidence. RTT®110 is ideal for parcel screening. With the proven ability to screen over 2,500 parcels per hour, it is the leading screening system used by major global freight forwarders around the globe. 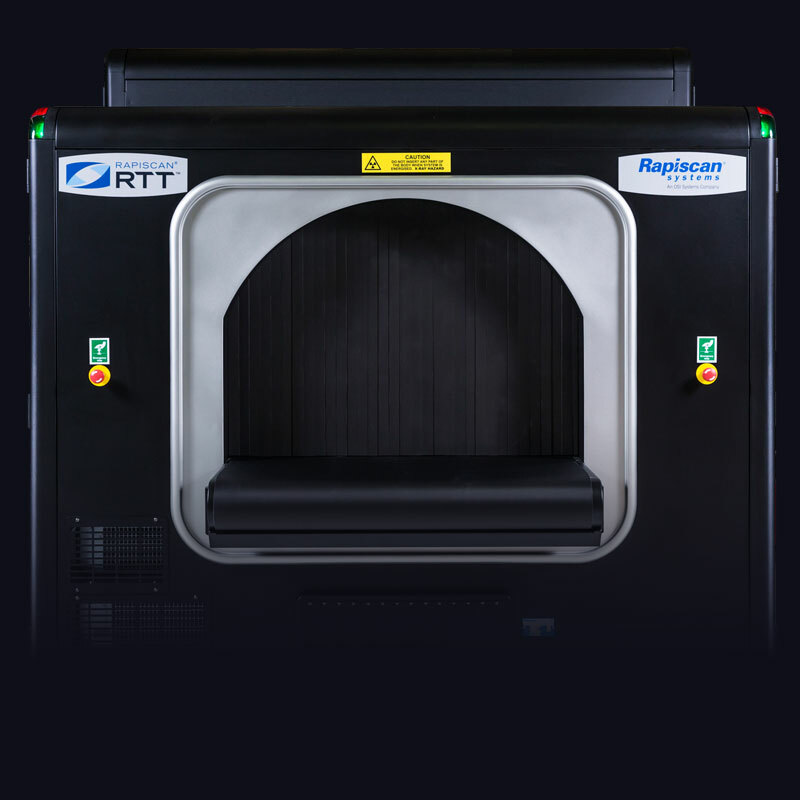 With the fastest, most advanced image capture, reconstruction and EU approved Standard 3 EDS algorithm, RTT®110 provides Hold Baggage Screening class-leading false alarm rates, high resolution 3D X-ray images giving rapid, accurate alarm resolution. RTT®110 is super-fast. 98% of level 1, automated decisions are made within 1 second of scan departure. Images that require intervention are received by level 2 operators as they leave the machine meaning less conveyors are needed for decision time saving you vital space. Measured by several major airports, the RTT®110 established an average saving of 7 meters in Baggage Handling System (BHS) real estate, versus the competitive systems, due to our high-speed level 1 and level 2 decisions. Every day, customers around the world choose Real Time Tomography (RTT®) over legacy CT systems - start your journey today. The RTT®110’s innovative, non-rotational gantry and modular design enables the possibility of upgrading the RTT®110’s technology as and when required. This means that your detection and operation can always be up to date and using the latest in Explosive Detection System (EDS) technology and advancements. Every day, customers around the world choose Real Time Tomography (RTT®) to improve the speed, efficiency and effectiveness, while lowering the cost of their explosives detection screening operations. That’s because we designed RTT®110 to overcome limitations of the past, and enable next generation, high-speed baggage and ultra-fast parcel screening. Fill out the form below to get more information about Rapiscan® Systems RTT®110 EDS, and how it can improve your baggage or fast parcel screening operations. 914 mm (36 inch) on each side, no additional access required above or at ends.